Pallet Truck Services offer competitive service for sale, hire and maintenance of a wide range of mechanical handling equipment. We pride ourselves on having run his business with honesty and integrity over the past 25 years and believe this has been reflected in the success of the business built on recommendations. 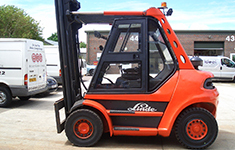 Pallet Truck Services supply a comprehensive range of forklift trucks, stackers, hand pallet trucks and spare parts. 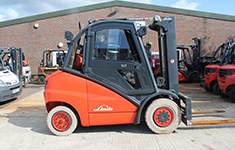 Our new and pre-owned equipment is all of an extremely high quality, electric, diesel and gas. PTS is also a supplier of Logitrans Lifting Performance equipment, who are a market leader for manual and electric stacker trucks. Pallet Truck Services offer a wide a range of services from ad-hoc repairs of single trucks to contracted planned fleet maintenance of varying equipment, including electric, diesel and gas.We pride ourselves on maintain trucks to the highest standards to ensure high a level of reliability and improve customers productivity. 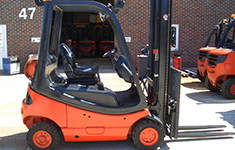 Pallet Truck Services can supply parts for all major forklift and material handling equipment manufactures. We always offer competitive prices on tyres, chain, forks, batteries and chargers for the end-user and for trade. 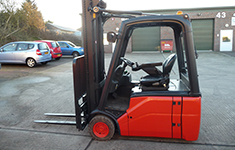 Pallet Truck Services also stock parts for most hand pallet trucks and can offer help and advise on spares and repairs.